Does seem a bit odd, but then as the old saying goes "there's nowt so queer as folk!". 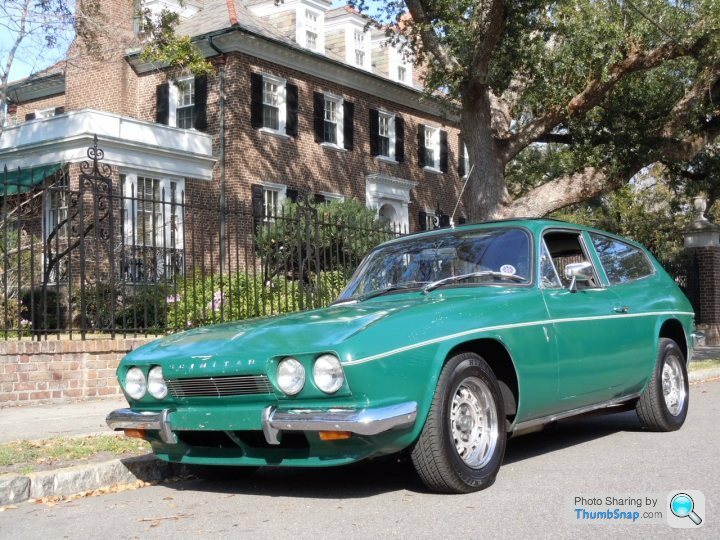 As a matter of interest, how many Scimitar owners do we know about in Canada? Oh, and another thought, any clues from the reg plate on the other motorcycle? which province is he in? It's British Columbia. The license plate is the same colour as the BC one. That is definitely a pic taken in North America. I believe the car is now Darren's orange SE5 project ? Yes, I am still the proud owner of this GTE, along with my low mileage SS1! I moved provinces in 2014 and left my orange GTE in a friends yard until I was ready to have her shipped to my new home in British Columbia. I did some dismantling over the summer. Progress will be slow due to other commitments but I can assure everyone that one day it will be restored. I am leaning towards an EFI North American Ford conversion. Either a 302 or the 4.0l sohc Cologne. Pics of the old girl to follow! One of the USA scimitars I found was a brown one that is/was owned by a movie prop company in LA. I just read about that programme and it sounds like it shows old British shows so probably a UK based car/show? most original SE5a - it's all stock and I never "messed" with it. in my life again - But I am scouring the UK eBay and looking at Coupe's !!!!!! Looks like this car is on the move again. After New jersey I think it went to a collector ex pat (Gordon/Graham? I think his user name here is mushyp) In South Carolina. Not sure if its the same one as towards the current end of this thread at a show in Tennessee - probably; not many green scimitars in that part of the world!